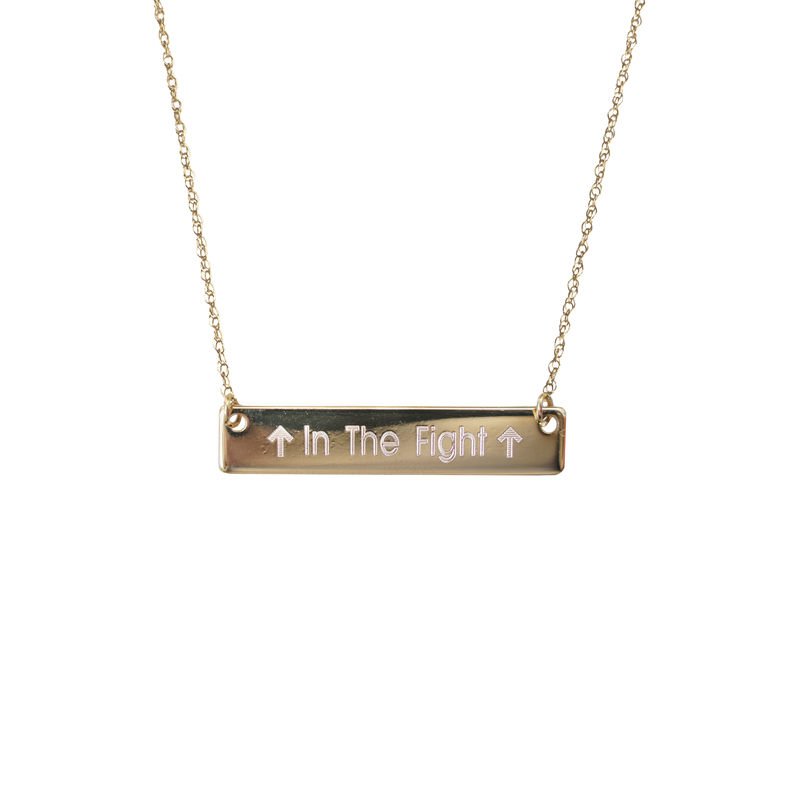 “In The Fight” Bar Necklace – 16k yellow gold plated bar engraved with arrows alongside “In The Fight”; on 16-18” adjustable chain. Golden Thread founder, Jennifer Welker, created this collection exclusively for Stand Up To Cancer to express her hope-filled determination, to combat alongside those consumed in the battle, to encourage those on the journey in defeating cancer and to proudly wear these pieces with fearlessness, tenacity and valiance as warriors! Before starting Golden Thread, Jennifer was an ICU Nurse. 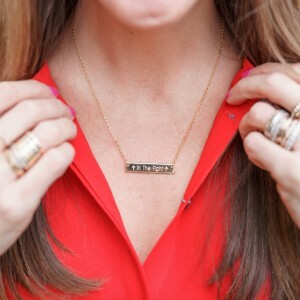 As a former nurse, there is no greater joy than to pair her two passions — accessories and helping others — for this colossal cause. It is a personal honor to partner, fight alongside, and join together to design for a greater purpose that affects us all so deeply. We are privileged to have this role in helping end the fight! Each piece in our Stand Up To Cancer Collection is to be worn proudly— engraved with yours or a loved one’s name or date on the pendant— celebrating and honoring the courage, perseverance and strength as we Stand Up against cancer TOGETHER!